Join us at the Cottage Grove Airport Saturday August 31st for a celebration of experimental/amateur aircraft! 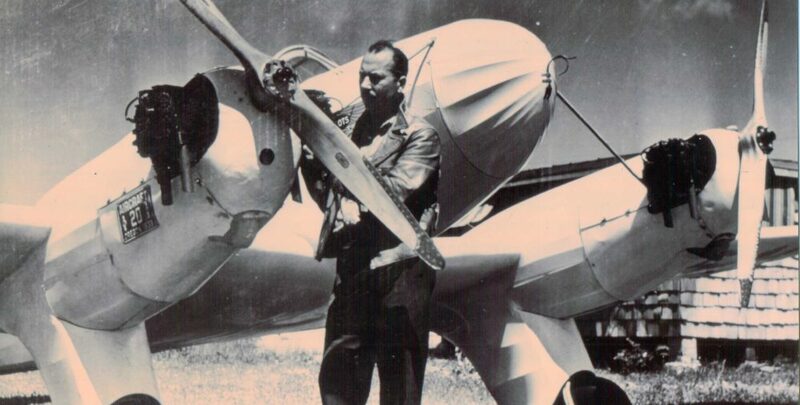 Did you know that experimental/home built aircraft were illegal in the US until 1952?! Did you know that Oregon aviators fought throughout the 1930’s and beyond to establish experimental regulations?? Did you know that the most successful kit-build aircraft, the RV, was designed and is still manufactured right here in Oregon? Come fly with us labor day weekend and learn about all this and more at the First Annual Great Oregon Home Built Fly-In! There will be aircraft and video presentations throughout the day to tour, as well as many visiting experimental aircraft to check out on the ramp!! Join us for several presentations throughout the day telling of Oregon’s impact on home built/experimental legislation and regulations! Take a short walk to see Walt Dunden’s OAHS Restoration Hangar where our volunteers work to bring these aircraft back to life! Check out visiting experimental/home built aircraft from around the Pacific Northwest, and…. Come see the Pietenpol!! Designed by Bernard Pietenpol in 1929 this was an early home built aircraft powered by a FORD MODEL A engine! There were several known to fly from Bernard’s field- Home of the BEAVERTON OUTLAWS during the 1930’s when home builts were federally illegal in the US! Handicap parking available in the OAHS lot here next to the hangar- excess parking available across the street and street side on Jim Wright Way. Event free to the public.